See more objects with the tag floral, fruit, traditional, monochromatic. This is a Textile. We acquired it in 1990. Its medium is silk and its technique is damassée, 7\1 satin and 1\3 twill. It is a part of the Textiles department. 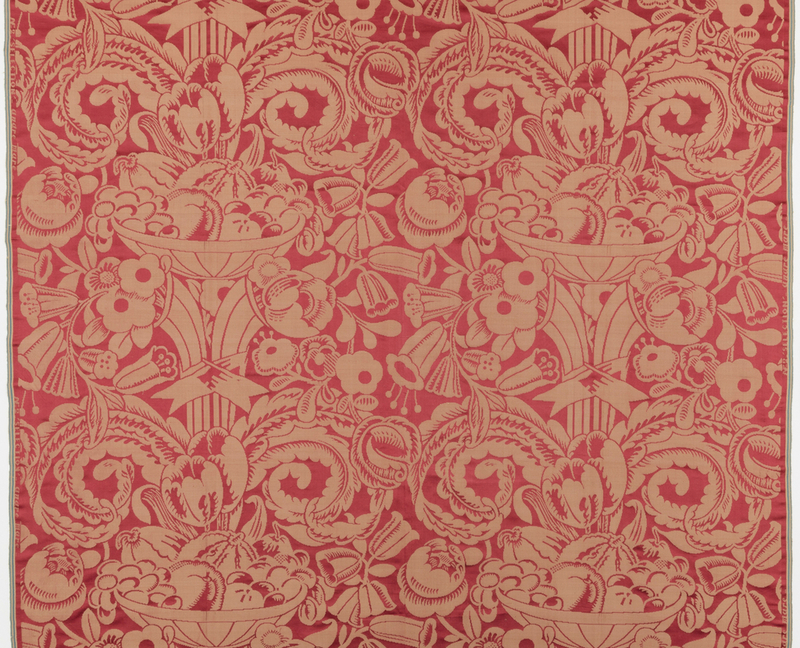 André Mare designed this fabric while working at La Compagnie des Arts Français, which he co-founded with Louis Süe. 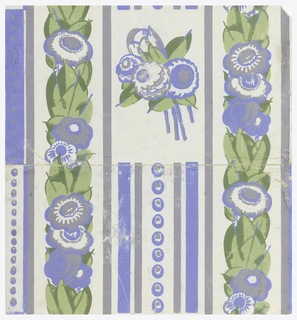 Both men were trained as painters, but were also well known for their furniture and textile designs. The multi-disciplinary decorating firm was made up of specialized designers, but they also commissioned work from independent artists. 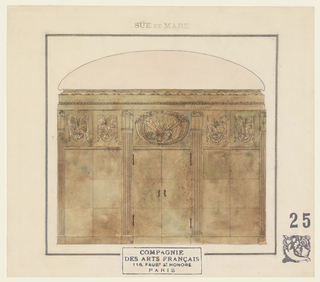 These types of companies, known as artistes décorateurs, of which La Compagnie des Arts Français was the most famous, were known for producing this type of eclectic design, the product of a successful dialogue among multiple influences. The layout and subject matter—fruit, flowers, cornucopias, and leaves—are quite traditional, indicative of a trend to historic revival, while the simplified, flattened look of those lushly saturated motifs coupled with a restrained colorway can be characterized as art deco. 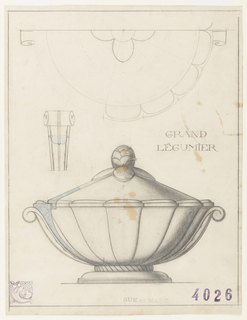 This object was featured in our Object of the Day series in a post titled Historic Revivalism Meets French Art Deco. 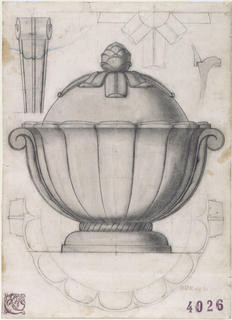 This object was fund: Au Panier Fleuri Fund. 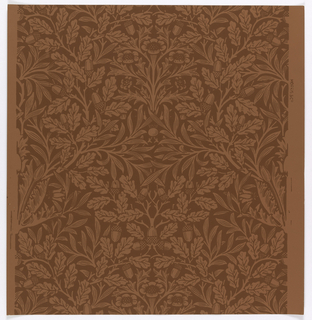 Gift of Clifford Murvine, Reed Wallpaper Company. floral printed cotton, trimmed with silk velvet.